It wouldn’t be the holidays without attending an ugly sweater party, a tradition that may’ve started ironically, but is now an iconic staple to the Christmas season. 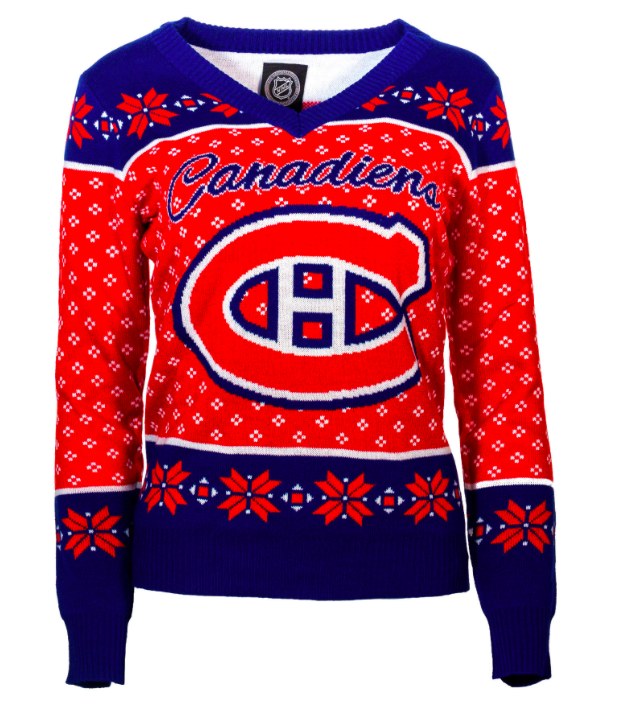 And what better way to celebrate ugly sweater season than by heading over to Ice Jerseys Canada where you can grab an ugly sweater that also features your favourite sports team on it? Well, I’ll tell you what’s better. 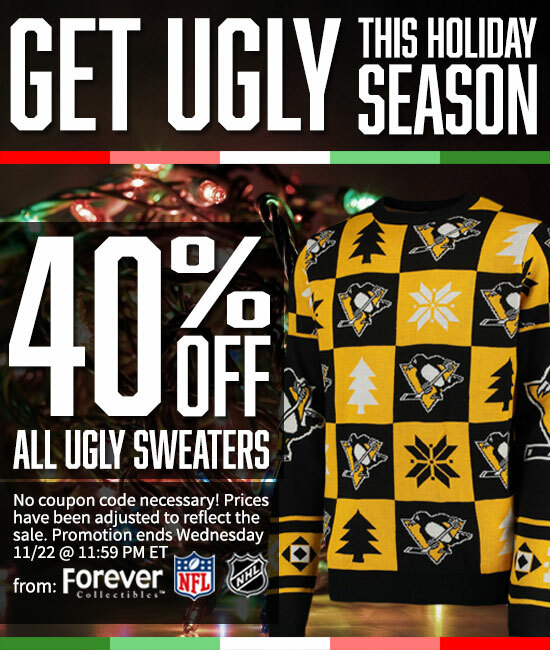 You can grab these sports-themed ugly sweaters at Ice Jerseys for 40% off, but today only! This one-day pre-Black Friday deal will only be available for today, and so will be finishing at 11:59pm EST tonight November 22 2017. There is no promo code required for this offer either, simply shop the ugly sweater sale and pick up the one that tickles your fancy, as the price shown already reflects the discount. So this Montreal Canadiens Women’s NHL 2016 Ugly V-Neck Sweater that originally cost $79.90 is now just $39.90, and this Ottawa Senators NHL Big Logo Ugly Crewneck Sweater for men is being sold for just $47.90 (reg. $79.90). Ice Jerseys offers FREE shipping on all orders that are $85 or more. Click here to begin shopping at Ice Jerseys Canada. Ice Jerseys Canada Black Friday Blowout: Save Up to $50 OFF Pro Stitched Jersey Customization! 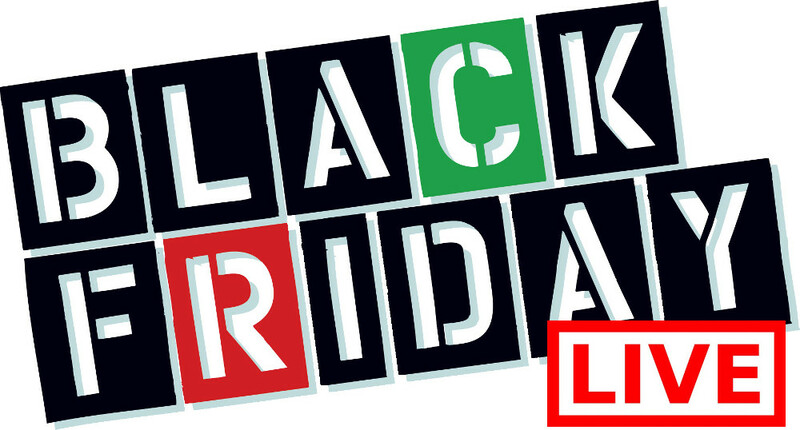 Ice Jerseys Canada has a BLACK FRIDAY BLOWOUT today (because it's better late than never)! The sale involves saving up to $50 OFF Pro Stitched Jersey Customization - a perfect gift for the sporty family member! No code is required to get this deal but you can try using coupon code FINEPRINT5 for an additional $5 off your jersey purchase (I'm not sure if it's still valid). This sale end on November 27 2016 at 11:59pm EST.